O'Rourke brings his strong, eclectic instrumentation out yet again with an album that is comprised of a single, continuous opus of a track. O'Rourke played EVERY note on the album, and produced it entirely by himself. It must be heard loud, to catch all the subtle nuances, and doesn't have the catchy vibe of some earlier releases like Insignificance (which he apparently despises via AV Club interview), but The Visitor is easily one of the most impressive albums of the year. And O'Rourke is one of the unsung heroes of indie rock, so while this wouldn't make my top ten, I'm un-unsinging his exceptional effort. 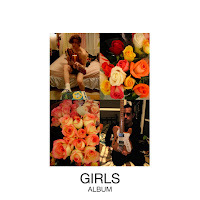 Christopher Owens honest, '60s guitar rock infused record about love and realistic heartbreak lends seriousness to a generally poppy sub-genre without losing legitimacy. It's a crass, 21st album, sung with a voice that melds Strummer with Costello and seems tired, sometimes desperate, but always honest. When I first reviewed the album in September of this year, I loved it, but wasn't sure about its spot in a year-end top ten. Subsequent listens have ensured its spot. It's 2009's (and maybe this decade's) ultimate break-up album; both empowering and lamentative. When this album came out this past spring, it became an obsession. The special edition disc, with four acoustic bonus tracks, gave Yeah Yeah Yeahs a new feel. Karen O graduates from shrieking art-pop superheroine to soft-spoken, aggressive lyricist. 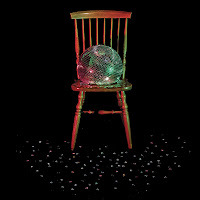 The album opens with the dancey, powerful "Zero" and runs the gamut from there, hitting the sensitive, honest notes on "Soft Shock" and "Skeletons" while still providing the long-loved dance-punk fare of "Heads Will Roll" and "Shame And Fortune". It remains one of the most fun, addictive and motivating records I've heard in 2009. Each song inspires, whether its the urge to jump around like a glow-stick-suited loon, or reconsider how love feels. If there weren't so many great albums this year It's Blitz would've landed higher on this list. 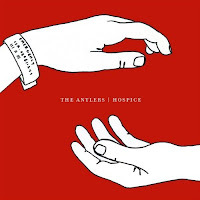 Still one of the most difficult albums to listen to straight through, Hospice is the most genuinely sad, and perfectly executed concept album of 2009. Based on the decline and passing from cancer of a man's true love, it hits rocking points here and there, but the somber, echoing, near silent tracks are the ones that show the record's (and the story's) real face. It's a profoundly impactful record, and reading the liner notes, for details on each song is not merely recommended, but necessary. And reviewed in this space in October, it's an emotional roller coaster, but one you'll gladly pay admission to ride over and over. We've all heard "1901" by now, whether we have the record, or we've seen a Cadillac commercial, but that electro-pop gem isn't the end of Phoenix's beautiful, solid fifth album. After first hearing the French alt-indie band through the soundtrack to Lost In Translation (They're hit "Too Young" will grab you immediately) I've never turned away from Phoenix. 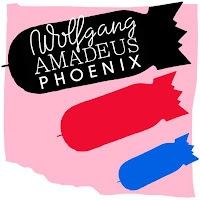 Earlier work, though always strong, didn't always seem complete, and that's why Wolfgang Amadeus Phoenix makes this list. It is an album loaded with excellent songs, and the tone is cohesive. The aggressive jumps from style to style are gone, replaced with consistently great music. "Fences" may be the best song they've written, and it follows "1901" perfectly. 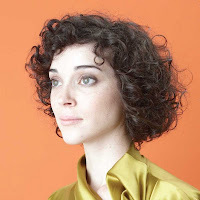 I've made no secret of the massive crush I have on Annie Clark, for her honest, if often creepy/unsettling lyrics and songwriting, and that she's talented and gorgeous. After 2007's amazing Marry Me she had my heart and mind, but after such an incredible debut, she would be hard-pressed to follow it well. Actor is one of the few albums I've bought on the Tuesday of its release, and I've never been happier to be one of the first (general public) people to hear new music. Clark's second record throws together all of the multi-instrumental, looping, weighty, ethereal ingredients from her first album and bolsters them with additional complexity and maturity. In my review earlier this year I called it the best of 2009 at the time, and I had a hard time pushing it down to 6 on this list. St. Vincent also performed one of the best shows I've seen this year, a classic at the Bluebird. It's always so impressive to see her rig up 5 or 6 sounds, looping and grinding live. Coming up next: Part Two, with numbers 5 - 1.